In the automotive world, some people cannot settle for average. Performance for your vehicle matters, and at Trafton’s Foreign Auto, we understand that you want the most out of your vehicle. Whether it’s a Porsche, Audi, or VW, or whether it’s a classic aircooled or watercooled engine type, Trafton’s can perform many types of high-performance upgrades. Trafton’s is your one stop shop for aircooled VW and Porsche performance upgrades. We can build you a lower budget performance engine using your current stock motor which will include bigger bore pistons and cylinders, performance camshaft, weber carbs, fully balanced motor with lightened flywheel and more. 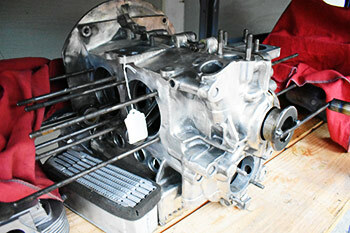 We can also build you an all out racing motor, custom case, stroker crank, turbo and much much more! That’s why we’ve been the most trusted name in Portland for performance upgrades since 1978! Our knowledgeable, factory trained and certified staff are here to make your performance upgrade experience an easy one. They understand how passionate you are about your vehicle because they’re just as passionate about their own! Let Trafton’s Foreign Auto take care of all your performance needs! TRAFTON’S PERFORMS HIGH-QUALITY PERFORMANCE UPGRADES! CALL US TODAY FOR A FREE ESTIMATE!